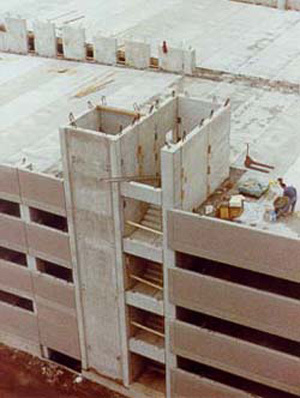 Precast prestressed concrete shearwall panels are designed to act as stair wells and shearwalls in most parking structures. These panels can be either horizontal or vertical in design and can also accommodate the stairs and landings. If treated with an architectural finish, these panels can be a feature to the building design. 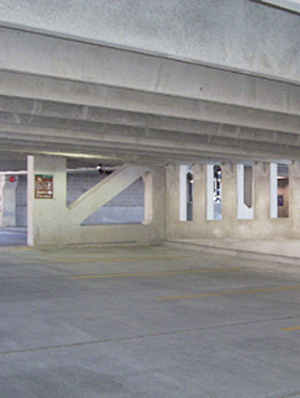 Shearwalls can be also used in industrial applications by placing a solid flat panel between columns at selected locations throughout the building.